Made from 100% merino wool with a 24 inch long streamer in hand dyed silk. Just a little bit of rice gives it a satisfying weight for throwing. They fly beautifully! For indoor or outdoor play. 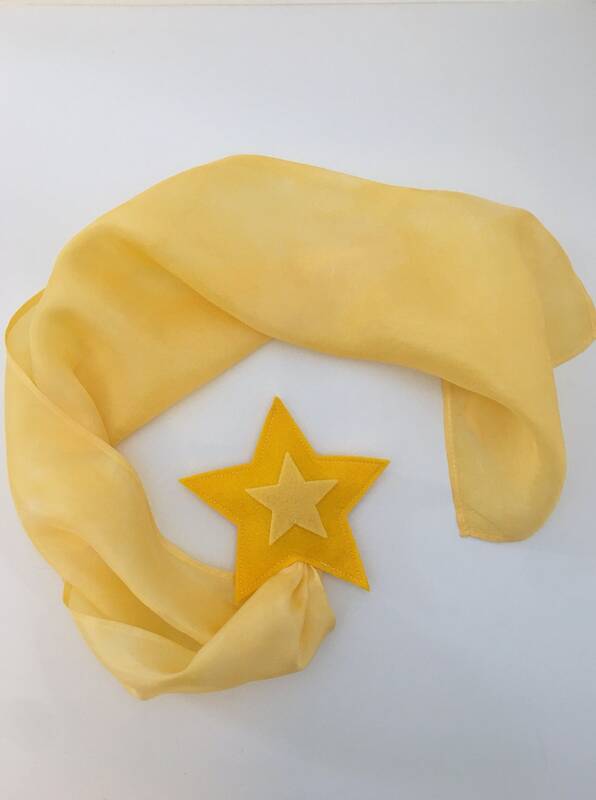 This listing is for the star in sunny yellow. Please see my other listings for availability in additional colors. Ready to ship via USPS First Class within 1-2 business days. Free shipping. Thank you for visiting Dream Child Studio. Have a wonderful day!